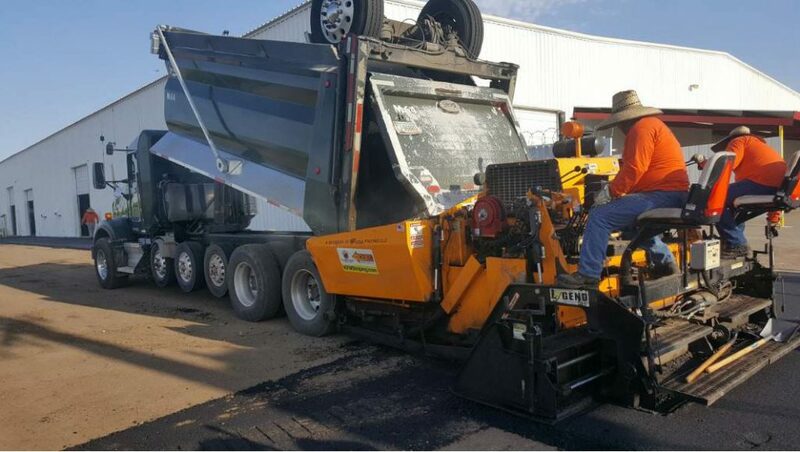 In June of 2018, Rose acquired KFM Striping and Curb Company, which has operated in the Phoenix area since 1984. When Tim Chimack joined the Rose Paving team in 2003, the company based in Bridgeview, Illinois, employed fewer than 20 people. Only 15 years later, it employs more than 320. However, it all started with two: Allan and Mike Rose. The Rose brothers started the business in Holland, Illinois, as a small striping and sealcoating company. In 1974, Allan bought out his brother, moved the corporate office to Bridgeview, and started to expand the company. Today, Rose Paving performs pavement maintenance and reconstruction on parking lots and structures nationwide for well-known brands, including Home Depot, Lowe’s and PetSmart. Although reconstruction jobs account for a high proportion of Rose’s total sales, the majority of work its crews perform is maintenance work, including cracksealing, sealcoating, patching and striping. Last year, Rose’s paving crews laid 200,000 tons of mix and performed maintenance work on more than 7,520 parking lots and structures. When Rose first began performing work nationally, they worked with customers from a distance. Soon, in regions where they were finding the most work, Rose began opening branch offices to improve efficiency and become more competitive in that region. 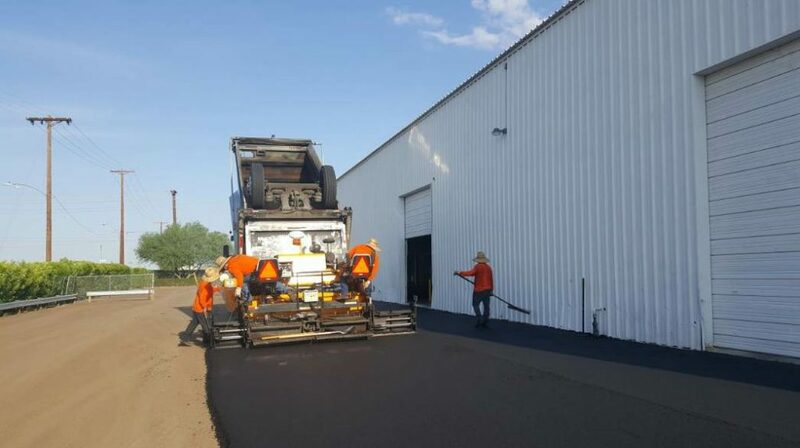 They opened branch offices in Atlanta, southern California, Denver and Ontario, and acquired existing pavement maintenance companies in Tampa and Phoenix. 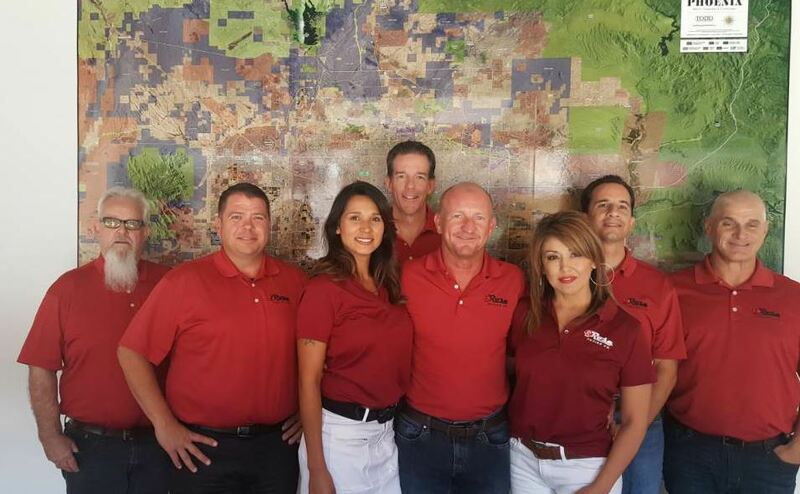 KFM began subcontracting for Rose Paving around 2000, after Allan Rose and one of KFM’s owners, Mike Dickens, crossed paths as alumni of Arizona State University. Following the acquisition, Dickens has stayed on board as Rose’s general manager of its Phoenix division. An alliance member of Rose Paving is essentially a preferred subcontractor. Rose has 23 alliance members nationally, and is ever-expanding. “We consider these subcontractors a part of our extended Rose family,” Chimack said. Some of these alliance members are identified by Rose, others apply directly through Rose’s website to start the conversation. As an alliance member, KFM would attend annual education events put on by Rose Paving. The location of the weeklong event changes annually, but each year the event includes one-on-one meetings to review the previous year, keynote speaking events and team building exercises. Although reconstruction jobs account for a high proportion of Rose’s total sales, the majority of work its crews perform is maintenance work, including cracksealing, sealcoating, patching and striping. A key aspect of rapid growth is proper staffing. In his role as vice president, Chimack is also responsible for training new salespeople brought on through acquisitions or hired to staff new offices. Most of the new branch offices were staffed by promoting from within out of the Bridgeview office, and then hiring local talent to grow the brand and staff the crews. To staff office positions, Chimack said Rose networks through its customer base, trade associations and charity events to identify people from similar industries, such as landscaping, HVAC and roofing, who work with similar clientele. For example, Rose’s President Ed Campbell came from the lumber industry and was discovered through an executive search. That includes being customer-focused, having character and fitting with Rose’s company culture. When it comes to crew staff, many of them apply after working on the crews of other paving companies. “It’s not about the grass being greener here, but they’ve heard about our good culture and they want to be on our side of the fence,” Chimack said. That, too, comes down to company culture. “We have Best Place To Work committees throughout the company that think of fun things we can do to make working here more enjoyable,” Chimack said. For example, on National Doughnut/Pizza/Hot Dog Day, Rose will cater lunch for every branch across the country. They also have annual employee picnics, golf and fishing outings, and various philanthropic events. Every quarter, for example, each branch brings together 10 to 12 employees to prepare meals for Ronald McDonald House. Rose Paving performs pavement maintenance and reconstruction on parking lots and structures nationwide. Since the acquisition, Rose has brought new work to the Phoenix division, and the Phoenix division has developed relationships with regional clients with a national presence to bring new business to Rose. Another benefit has been that crews from parts of the country that shut down in the winter can travel to Phoenix to continue working through the winter. Integrating Rose Paving’s systems and processes has also had a positive impact on the Phoenix office. Fully integrating with Rose has enabled Dickens and his team to analyze their efficiency and improve turnaround time on bids and overall work performance. Most of the changes were related to sales, marketing and staffing. For example, previously, a salesperson for KFM would follow a single project from start to finish. Now, each salesperson is more specialized and multiple individuals are involved in each project. Chimack agrees that Rose’s approach to project management has been key to the company’s success. Over the next two to six years, Chimack said Rose Paving hopes to acquire one or two companies per year to continue its growth. Phoenix may only be Rose Paving’s second acquisition, but it certainly won’t be its last.